Arrack, also spelt arak, is a distilled alcoholic drink typically produced in South Asia and Southeast Asia, made from either the fermented sap of coconut flowers, sugarcane, grain (e.g. red rice) or fruit, depending upon the country of origin. The clear distillate may be blended, aged in wooden barrels, or repeatedly distilled and filtered depending upon the taste and color objectives of the manufacturer. Arrack is not to be confused with arak, an anise-flavored alcoholic beverage traditionally consumed in Eastern Mediterranean and North African countries. The word Arrack originated from the Sinhalese word "arakku" which means any kind of residue. This is not to be confused with the word derived from the Arabic word arak (عرق, arq), meaning 'distillate'. In the Middle East and Near East, the term arak is usually used for liquor distilled from grapes and flavored with anise. In Indonesia, the term arak is widely used to describe the arrack. Arak (or rice wine) was a popular alcoholic beverage during the colonial era. It is considered the "rum" of Indonesia, because like rum, it is distilled from sugarcane. It is a pot still distillation. To start the fermentation, local fermented red rice is combined with local yeast to give a unique flavor and smell of the distillate. It is distilled to approx. 70% ABV. Like rum, Batavia-arrack is often a blend of different original parcels. 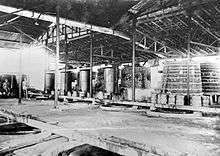 One of the longest established arak company in Indonesia is the Batavia Arak Company (Dutch Batavia-Arak Maatschappij), which was already in business by 1872, became a limited liability company in 1901, and was still operating in the early 1950s. The Batavia Arak Company also exported arak to the Netherlands and had an office in Amsterdam. Some of the arrack brand produced by Batavia Arak Company were KWT (produced in the Bandengan (Kampung Baru) area of old Jakarta) and OGL. 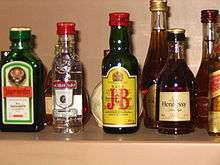 Batavia-Arrack is said to enhance the flavor when used as a component in other products, as in the herbal and bitter liqueurs. It is used as a component in liqueurs (like the punsch), pastries (like the Scandinavian Runeberg torte or the Dresdner Stollen), and also in the confectionery and flavor industries. In Indonesia, arrack is often created as a form of moonshine. Such illicit production may result in methanol-tainted arrack that can lead to death. The Filipino term for wine (and by extension alcoholic beverages in general) is alak, derived from the Arabic word "arrak". The term "arak," though, is specifically used in Ilocano. Until recently, lambanóg was considered a local analogue to moonshine and other home-brewed alcoholic drinks due to the process's long history as a cottage industry. Though usually served pure, it is traditionally flavoured with raisins, but lambanóg has recently been marketed in several flavours such as mango, blueberry, pineapple, bubblegum and cinnamon in an effort to appeal to all age groups. Sri Lanka is the largest producer of coconut arrack and up until 1992 the state played a significant role in its production. Other than water, the entire manufacturing process revolves around the fermentation and distillation of a single ingredient, the sap of unopened flowers from a coconut palm (Cocos nucifera). Each morning at dawn, men known as toddy tappers move among the tops of coconut trees using connecting ropes not unlike tightropes. A single tree may contribute up to two litres per day. Special arrack, which is produced in the highest volume, nearly doubling in production between 2002 and 2007. Ceylon Arrack, a brand of Sri Lankan coconut arrack, was recently launched in the UK in 2010. It is also available in France and Germany. White Lion VSOA entered the American market soon after. ↑ Dobbin 1996, p. 54. ↑ "Interesting Sri Lanka". Facts About Sri Lanka. Retrieved 7 July 2016. ↑ Lopez 1990, p. 109. 1 2 Merrillees 2015, p. 82. ↑ "Distilleries Company - 'One of the World's Greatest Privatisation Stories'". The Island. Retrieved 11 October 2015. ↑ Gunawardena, Charles A. (2005). Encyclopedia of Sri Lanka. Sterling Publishers Pvt. Ltd. pp. 22–23. ISBN 9781932705485. 1 2 3 "The Alcohol and Drug information Centre" (PDF). ALCOHOL INDUSTRY PROFILE 2008: AN INSIGHT TO THE ALCOHOL INDUSTRY IN SRI LANKA. Retrieved 17 October 2010. Dobbin, Christine E. (1996). Asian entrepreneurial minorities: conjoint communities in the making of the world-economy 1570-1940. Taylor & Francis. ISBN 978-0-7007-0404-0. Lopez, Robert S. (1990). Medieval Trade in the Mediterranean World. United States: Columbia University Press. ISBN 978-0-231-12357-0.